This is the twelfth in our biweekly series from Amy Pennington – urban farmer, founder of GoGo Green Garden, and author of Urban Pantry and Apartment Gardening – on how to start growing your own food, no matter how tiny your garden-to-be is. 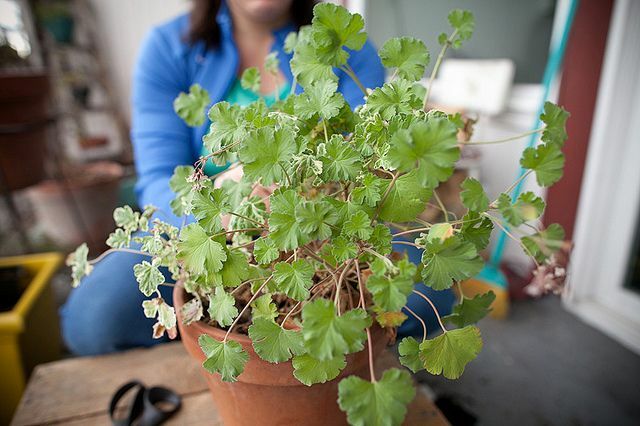 Today: Coveting your neighbor's herb garden? 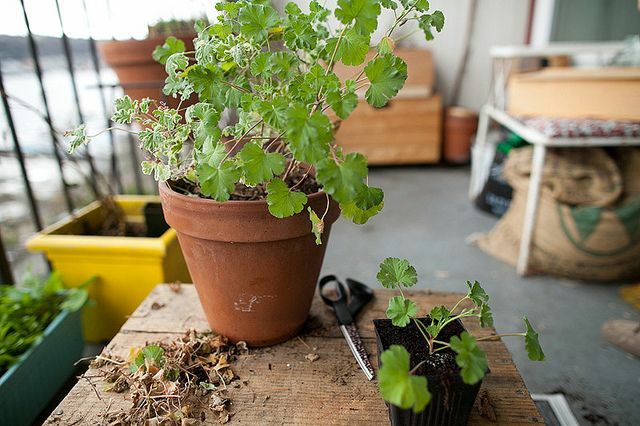 Grab a pair of clippers, "borrow" a clipping or a root, and grow your own plants -- no seeds required. We met up and walked to the garden. On the way, she spotted a old, prolific fig tree and stopped in her tracks. "Oh – I need that," she exclaimed, and simultaneously reached into her back pocket as she crossed the street. With at quick snip, she cut a couple inches length from the fig plant, looked at me, and whispered, "You want one?" 1. 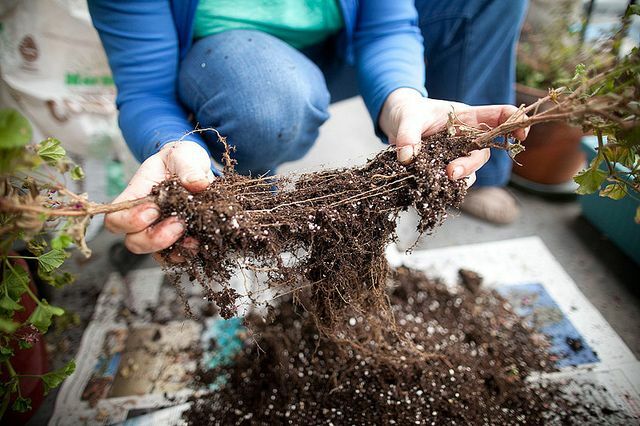 Dig up the plant and its entire root system as best you can in early spring or fall. Growth is slow during these seasons, which makes this treatment easier on the plant. 2. Work apart the roots and slice through them with a clean knife or your hands. (You can also trim the root balls with scissors.) Be sure that each division has both healthy roots and at least one small green shoot! 3. Repot into a large enough pot and water well. Be sure to keep it watered well until the plant catches on and begins to put out new growth. You don't want to add any additional stress to the plant from lack of water! 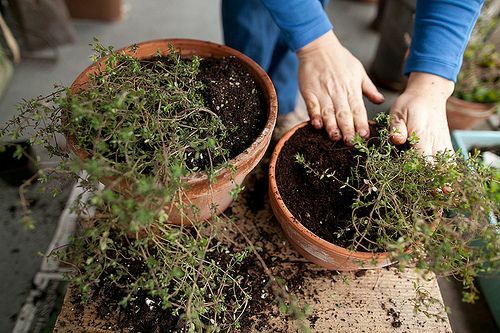 A note for apartment gardeners: if you already have perennial herb pots going, it may be time for you to split them and separate the division into two pots. Every three years or so, perennial herbs do well with some dividing. 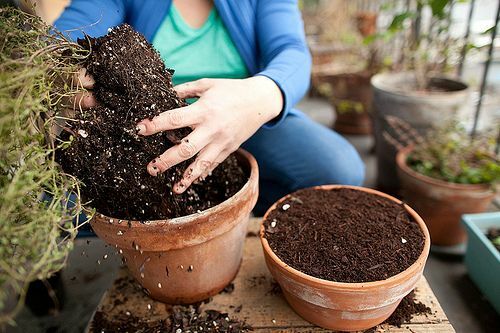 Add some compost to the new potting mix and repot in a same-size or larger container. 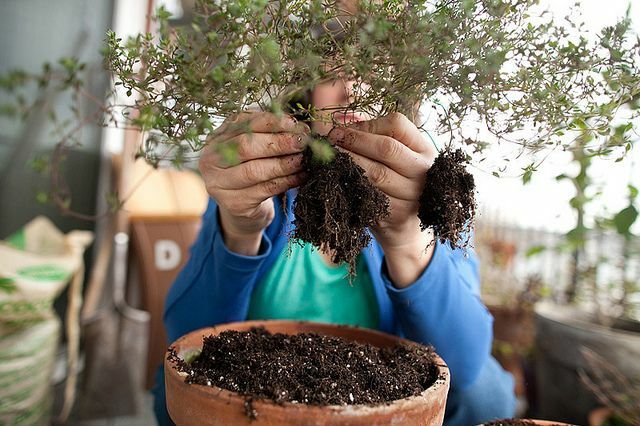 If you don't need more of the same herb, divide them anyway and repot as gifts for friends or neighbors. As a general rule of thumb, take a cutting from new plant growth. This is best done in late spring or early summer -- cuttings prosper in warm conditions. This also allows enough time for the cutting to put on some new growth without the stress and cold of winter. 1. On some plants, new growth comes in the form of a side shoot; in others it grows from the top of the plant's branches. Choose the newest growth and cut about a five inch length just below a set of leaves. 3. 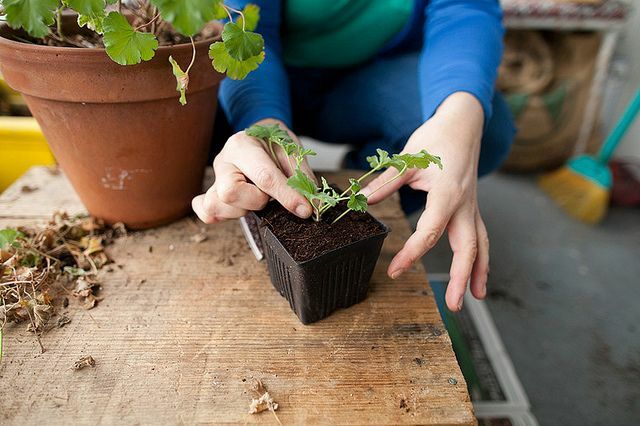 Place the cutting directly into a small pot of potting soil (leave it unfertilized for now), being sure to bury the lowest leaf node (the node is the area below the lowest leaves that you just removed) and water well. This leaf node is where the bulk of the plant's hormones are located, and they will aid in root development. 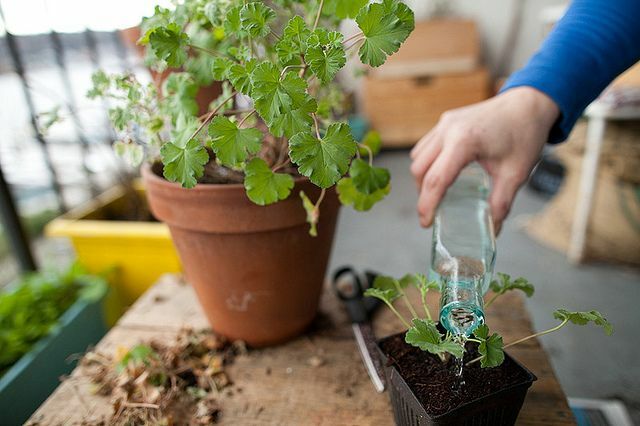 Keep the cutting watered until the plant begins to put on new growth. 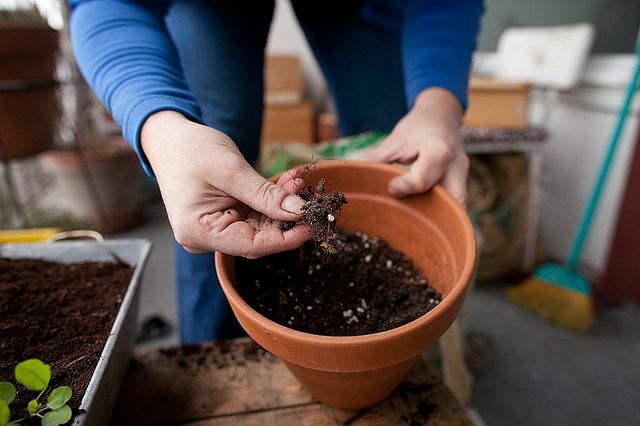 You will know it's ready when the cutting does not pull out of the soil with a gentle tug, indicating the new growth is sufficient for transplanting to a bigger pot. This generally takes from four to six weeks. There are many, many edible plants that you can propagate easily (including tomatoes! ), so share in the comments if you have some great tips! 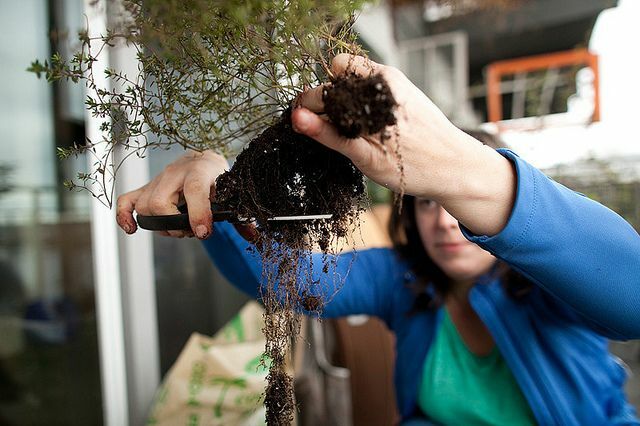 For the next City Dirt, schedule some time for a weekend project. 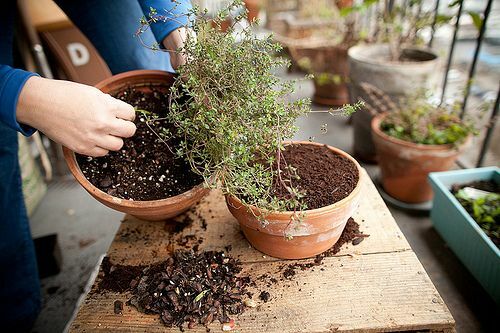 We'll be covering garden DIY – salvaged containers and clever (read: free!) materials to use in your garden, no matter the size. I am a cook and food writer, author & gardener who is passionate about the environment, using sustainable resources, reducing my impact on the earth and making conscious food choices that are both smart for the planet and taste fantastic. When I'm not knee deep in dirt growing food, you can find me in the kitchen where I'm likely standing over a canning pot or staring up in to my pantry deciding what to make. In the gardens, I have a business gogo green garden, wherein I build, plant & tend edible gardens for folks in their urban backyards. I also launched a garden-sharing website in 2009 that connects urban gardeners to unused garden space across the country - www.urbangardenshare.org. Check it out! Sounds like we need some Fig Tree propagation tips?!! I'll write something up and maybe we can post on Feed52. Stay tuned! speaking of fig trees, I need to cover my dad's fig trees with netting (pesky birds). Anyone know what I need to get, where to get it and how to do it? The tree is like 10ish ft tall. mrslarkin, you can get bird netting at your local garden center, hardware store, or online. I've noticed that some netting is more see through (and more attractive) than others. Also, you have to really get it secure or birds will get in, and they can get caught in the netting. Good luck! We do this at home with Thai basil from a market an hour away we can't always get to! I've done this with herbs, but I never knew you could grow a whole tree this way! Can you do this with all kinds of plants, or only really tough ones?